Orange trees are beautiful and add delightful greenery and the aroma of fragrant blossoms to your home when grown indoors. 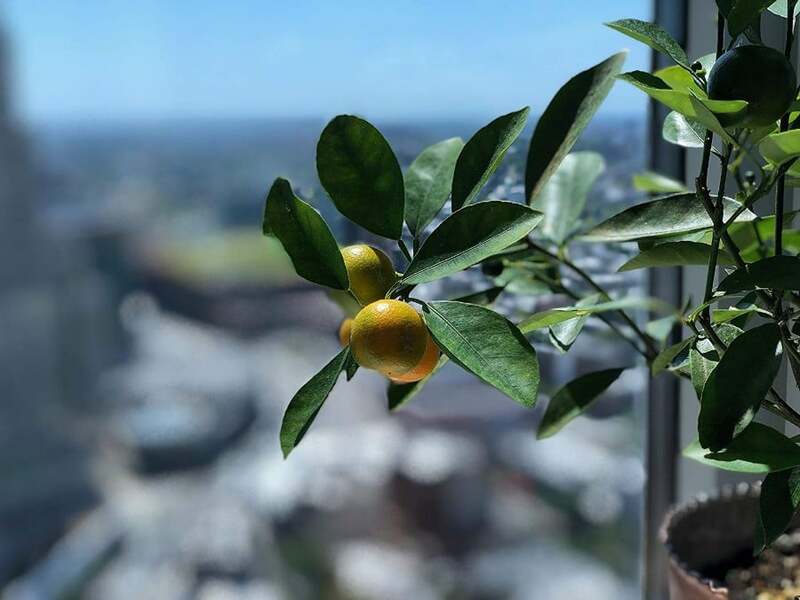 Growing an indoor orange tree is easy when you know how to care for it. 8-12 hours of bright sunlight per day, but should be shaded from excessive hot sun during the summer. Well-draining soil and an adequately draining container. Frequent watering, adjusted to the individual tree and growing conditions. An ideal daytime temperature of 68° F (20° C). Regular application of citrus fertilizer. 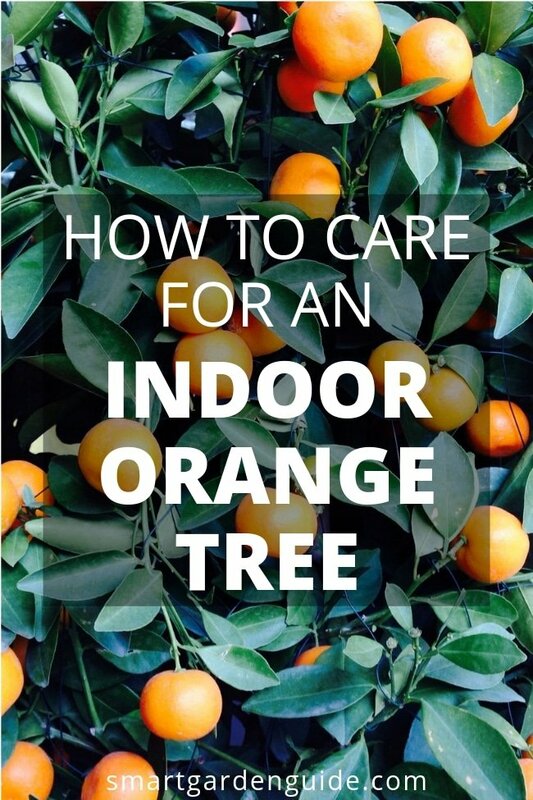 This guide will teach you everything you need to know about caring for your indoor orange tree. 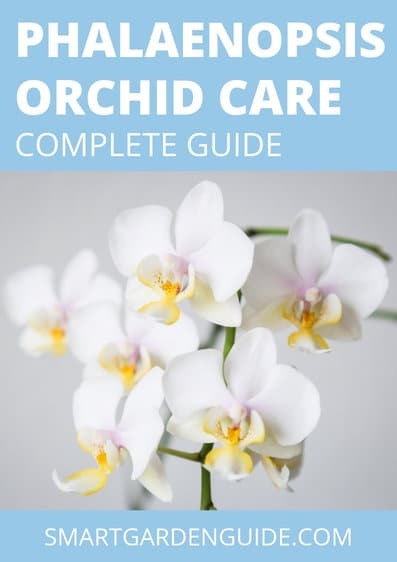 You’ll learn what type of pot and soil are best, how to water so the plant doesn’t start to drop leaves, and when it’s the best time to repot your orange tree. Unless you live in a climate where citrus trees are able to grow outside all year round and thrive, an outdoor orange tree is very finicky to grow and most likely won’t produce any oranges. It’s a good thing that growing an indoor orange tree is so easy. More and more people are using plants to brighten up their living space. Indoor orange trees are beautiful and not only make your home look good, they also have a lovely aroma that freshens the air. They have attractive glossy foliage and a wonderful flowery fragrance. If you’re lucky, and your orange tree likes its growing conditions, you’ll be able to pick your own oranges off the tree! Tahitian Orange – A lemon/tangerine mix, this orange tree has no thorns and produces small, sweet fruit. Satsuma –The Satsuma orange is really a tangerine. These orange trees are well known for their many clusters of fragrant flowers. Calamondin Orange – These small, sour oranges are the most popular indoor orange tree. Many gardeners grow them strictly as an ornamental plant. I’d highly recommend going for a Calamondin Orange tree as your first choice. You can get one on Amazon here. Most indoor orange trees are of the dwarf variety, with their outdoor cousin being much larger. 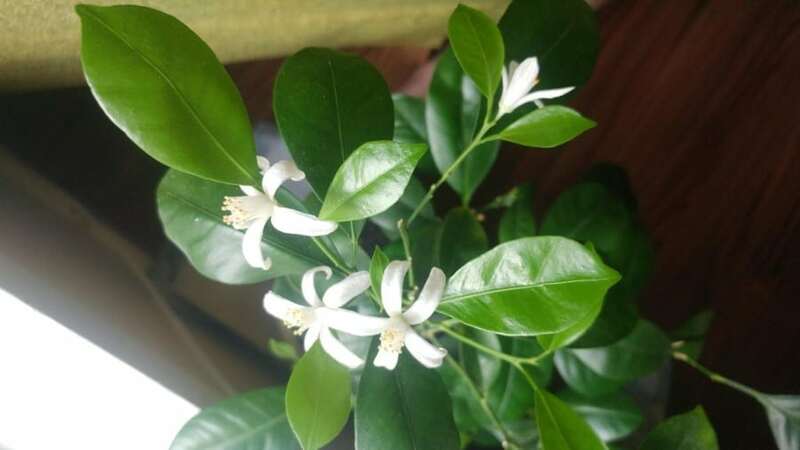 When Do Orange Trees Flower? You’ll know when your orange tree is flowering. The fragrance of the little white blossoms will fill the room. Most orange trees will bloom in the winter months, when the plant is indoors. This is because during this time, no insects will be around to pollinate the flowers. You’ll want to help pollinate the blossoms to encourage the blooms to produce fruit. You can purchase a pollination tool from your local gardening store – they’re available as electric or battery operated. This tool will help you move pollen from one flower to the next. If you want your orange tree to flower and produce fruit, the nighttime temperature in your home needs to be 5 to 10 °F less than the daytime temperature. Another good idea is to purchase a plant that’s already two or three years old. It will flower and yield fruit more quickly than young orange trees. How Much Light Do Orange Trees Need? To grow an orange tree, you don’t need a sunroom or a conservatory. All you need is a window that gets enough daylight. When grown indoors, orange trees prefer bright, indirect sunlight. They do best with at least six to eight hours of light every day. Place the pot beside a window that gets indirect light. They like lots of sun, so place them in the brightest rooms of your home, preferably by south and west facing windows. If you put the pot beside windows that get a lot of hot sun in the summer, such as south and west facing windows, you’ll need to move the pot further away from the window or to an east facing room. Otherwise it will get too much hot sunlight and the leaves may get sunburnt. Orange trees prefer pots that allow for good drainage and that also provide enough aeration for the roots of the plant. Choose a pot that is made from non-porous materials so that it retains some moisture. These pots are also more lightweight, making it easier for you to move them outdoors and back in again. If you choose a terracotta, ceramic, or wooden pot you’ll need to carefully monitor the moisture of the soil so that the plant doesn’t dry out. No matter what pot you choose, it needs to have multiple holes for drainage. When you first get your orange tree, start it out in a small pot and move it to a larger pot as it grows. Deep pots are better so that as the plant grows it doesn’t start to over-balance the pot and tip over. What Soil Is Best For Orange Trees? When it comes to soil, use a lightweight mix for indoor planters. Choose a soil mix that contains vermiculite or perlite. These are inorganic ingredients that can help promote aeration and drainage in the pot and around the roots of the plant. If you can’t find a soil mix with these ingredients you can buy them separately and add a small amount to the soil. Other items that can help with drainage and aeration are wood chips, course sand, and small pebbles. Avoid using any soil mixtures that are designed to retain moisture. You want the water to run through the soil and out through the drainage holes, not become trapped in the pot so the roots are sitting in water. Orange trees are quite picky about their watering conditions. Although there are some guidelines for watering orange trees, it comes down to monitoring your own plant. Check the soil regularly to see how dry it is. Follow a routine for watering on scheduled days. When you water, allow the water to thoroughly soak into the soil each time so it flows down to the root system and out through the drainage holes. 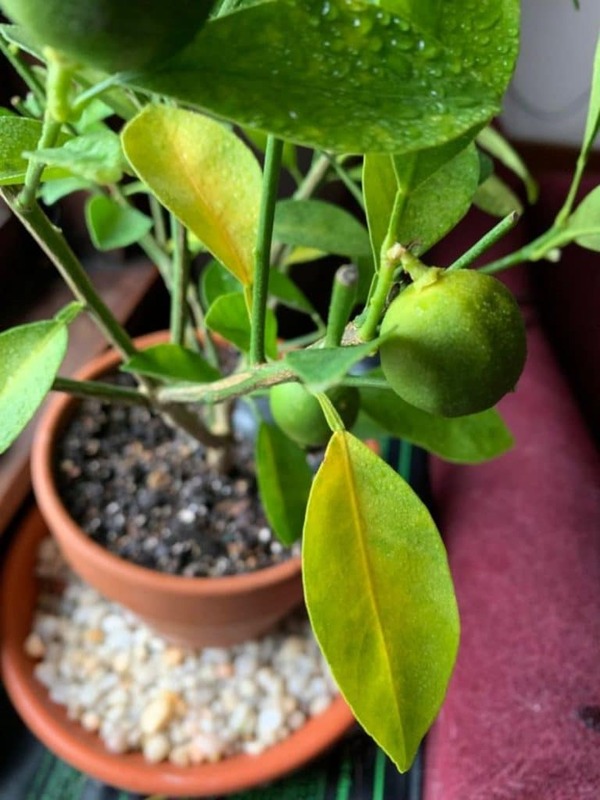 How often you water your indoor orange tree will depend on several things, such as the type of pot you’re using, the type of soil it’s planted in, and what time of year it is. The size of your orange tree will also play a role in how much and how often you water. Larger plants will need more water to sustain them. During the warmer spring and summer months, water your orange tree more frequently. Don’t overwater or leave the pot standing in water. Orange trees don’t like to be waterlogged. Overwatering can also lead to root rot. During the fall and winter months, water less frequently. Wait to water until the top inch of soil is dry. Then water thoroughly. Orange trees also don’t like their roots to dry out completely. Once the roots are dry they will quickly start to die, making it hard to recover the plant. Feel the soil of the plant before watering, but as a general rule, watering once or twice a week during the warmer months should be sufficient for your orange tree. In winter, once or twice every two weeks should be adequate. When watering your orange tree always use water that is at a similar temperature to the plant. Using water that is too warm or cold can “shock” your orange tree. 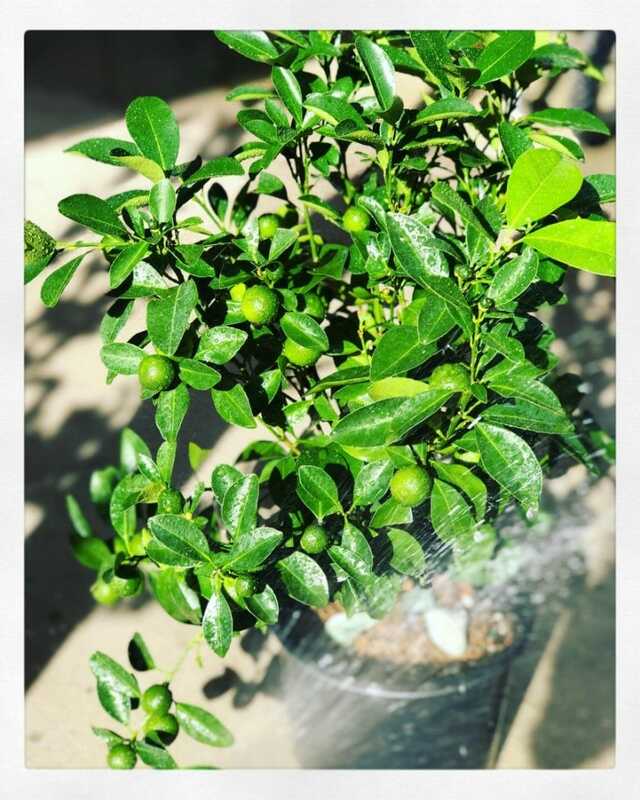 Not a requirement, but if possible, water your orange tree with rain water. Rain water contains less dissolved minerals which can cause problems if your tap water is particularly hard. Do Orange Trees Like Humidity? Your orange tree likes a bit of humidity to make it feel like it’s in the tropics. Ideal humidity levels of 50% to 70% are best, which can be tricky to achieve naturally in an indoor space. Indoor heating in the winter can quickly dry out the leaves, stems, and branches. You can replicate a tropical climate by misting the leaves, placing the pot on a humidity tray or using a humidifier. I use a simple digital thermometer and hygrometer to monitor the temperature and humidity level of my home when growing indoor plants. Check out my resource page for details and other recommended tools. When growing orange trees indoors, the ideal temperature during the day is 68°F (20°C). Try to keep the temperature consistent – orange trees don’t like sudden changes in room temperature. This means keeping your plant away from heat vents and drafty windows. At night, lower the temperature by 5-10 degrees fahrenheit. Orange trees, like most plants, prefer cooler temperatures at night. Orange trees are considered to be tropical plants – they need a lot of nutrients to grow and blossom. 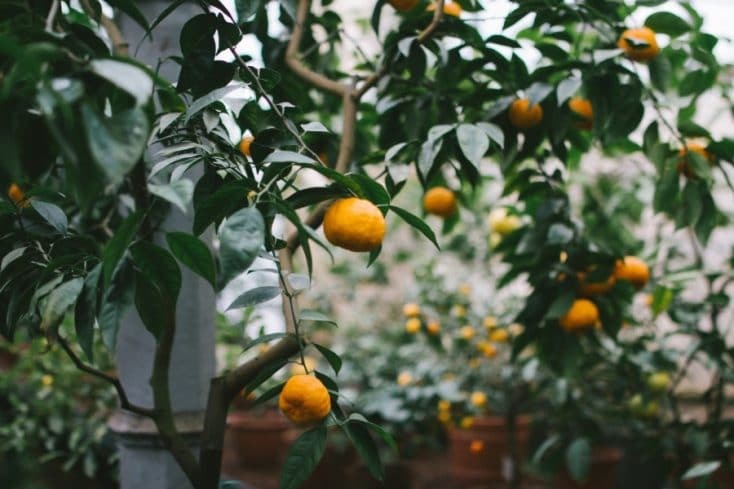 During the growing season, feed your orange tree once a week with a liquid citrus fertilizer to provide it with what it needs to grow and flourish. Orange trees don’t go dormant, which means they continue to grow a bit during the colder months. This means you’ll need to fertilize during this season as well. During October to the beginning of March, feed the plant every two weeks with a winter citrus fertilizer. Citrus fertilizers have extra micronutrients and nitrogen that orange trees thrive on. Orange trees need additional micronutrients that other plants need less of, such as manganese, magnesium, zinc, and iron. Other ingredients in the fertilizer should include potassium, phosphorous, and nitrogen. Follow the instructions for the fertilizer on how much to give your orange tree. Do Orange Trees Need To Be Pruned? Your orange tree is slow growing and will require very little pruning. In the spring and summer, when the plant is in its full growing phase, you can pinch back the growth on those stems that are growing too long. This will stunt their growth a bit and encourage side shoots to grow. During the fall and winter, remove any branches that are broken or that look unhealthy. Another time to prune is when the tips of the new growth on branches is about 4 to 6-inches. Be careful not to prune too often as this can discourage the plant from growing. Roots are starting to poke out through the drainage holes at the bottom of the pot. Soil dries out faster than it did before. Leaves are starting to look unhealthy. Even if your orange tree isn’t showing any of these signs, it’s good to repot after it’s been in the same container for two or more years. Let the plant dry out for a day or two so that the soil is slightly dry, and not wet. Put soil into the bottom of the new pot – fill about ¼ of the way and set aside. Use a dull knife to carefully loosen the soil from the edges of the pot the orange tree is currently in. Holding the main stem of the plant, gently and carefully pull it out of the pot. Place the orange tree into the new pot, adding more soil over and around the roots. Thoroughly water the plant, keeping it watered without getting dry for at least two weeks. Keep a close eye on your orange tree after repotting. This is a time when the plant is more fragile than usual. You can put your orange tree outdoors on your patio or in the garden during the warmer months, from June to September. This way you can enjoy it when you’re outside and the plant will benefit and thrive from all that direct sunlight. Leave the plant in its pot and place it outside in a sheltered and sunny area. As soon as the weather starts to get cool, be sure to bring your orange tree back inside where it’s sheltered from the cold temperatures that can quickly damage it. When your orange tree is outdoors for the summer, the ideal maximum temperature is 86° F (30° C) with a minimum temperature of 46° F (8° C). Your orange tree doesn’t like to be cold – so the winter months of January and February can be difficult for this plant. Not only are day and night temperatures far below what orange trees need to thrive, these are the months when there’s the less daylight than at any other time of the year. Orange trees sometimes drop a few leaves in the winter months. One or two leaves is okay, but more than that and you’ll want to make conditions a little more comfortable for your orange tree if you want it to survive. Consider getting grow lights to provide the plant with a bit more light throughout the day. And move the pot to a warmer room in your home for a couple of months – be sure not to place the pot close to any source of heat. If you’re putting your orange tree outside in the warmer months, it may be bothered by pests, such as aphids, fruit flies, and whitefly. Use insecticidal soap to control these insects, spraying carefully. The spider mite is also a common pest for orange trees. You can periodically wipe the leaves with a bit of water and a paper towel to deter these pests from hanging around on the leaves. 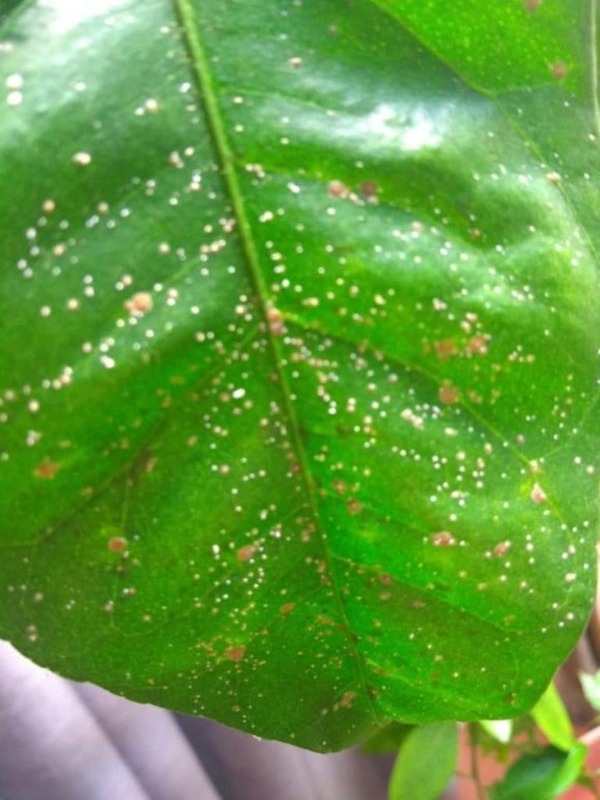 Another common pest for orange trees is “scale”. This is an insect that feeds off the sap on the orange tree. It attaches itself to the underside of leaves and along the stem of the plant. Scale can be hard to get rid of when the insect is under a protective shell in its adult stage. Using rubbing alcohol, swab a bit of the solution onto the insect, getting as little as possible onto the leaf. You may have to repeat the application. For scale that is newly hatched, using an insecticidal soap will get rid of the insect after an application or two. Why Are The Leaves On My Orange Tree Turning Yellow? One of the reasons for yellow leaves is a nutrient deficiency. Consider feeding the plant with citrus fertilizer. Overwatering can also cause leaves to turn yellow. Why Is My Indoor Orange Tree Losing Its Leaves? Indoor orange trees don’t respond well to sudden changes in room temperature, such as heat from heating vents or drafts from windows. Sudden temperature changes can cause leaves to drop. Move the plant to a more sheltered area in your home. If you’ve been inspired to start caring for your own indoor orange tree, I’d definitely recommend a Calamondin Orange. You can get one on Amazon here.